Hot on the heels of Black FlyDay, today we can celebrate Spider Monday! In honour of this web-tastic day, I would like to showcase the most awesome spider I have ever personally met: a member of the family Hersiliidae (tree trunk spiders). 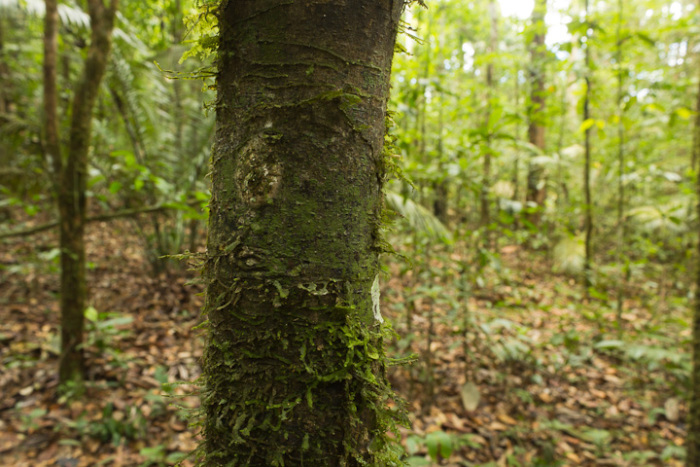 The beautiful photos that follow were all taken by Sean McCann, in French Guiana. Um… is there supposed to be a spider in this photograph? The special thing about this spider is her incredible camouflage! Aha! There she is. And what’s that she’s guarding so closely? Not only does the spider’s body blend into the background, but you might not even have noticed that she’s guarding an egg sac. What I find most remarkable is that she has evidently decorated her silken egg sac with lichen and bits of plants to make it blend in with the rest of the tree trunk. An even closer view. Check out those elongated spinnerets! 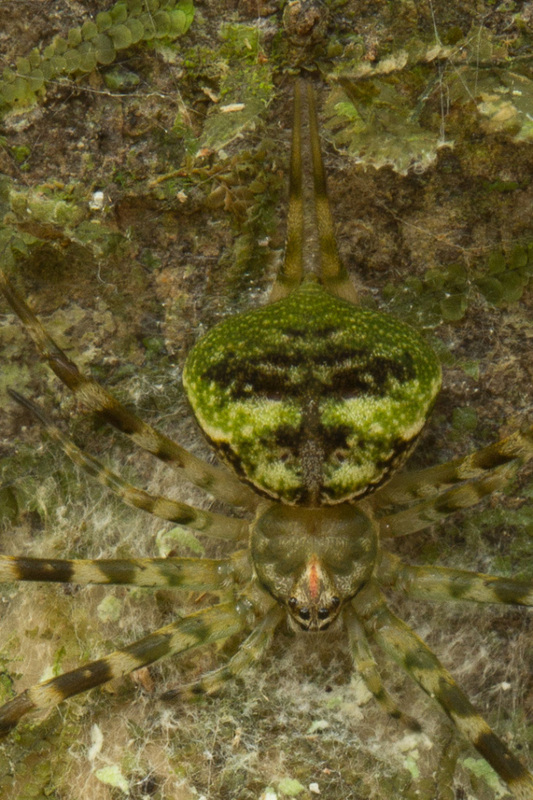 The hersiliids are also sometimes referred to as two-tailed spiders. 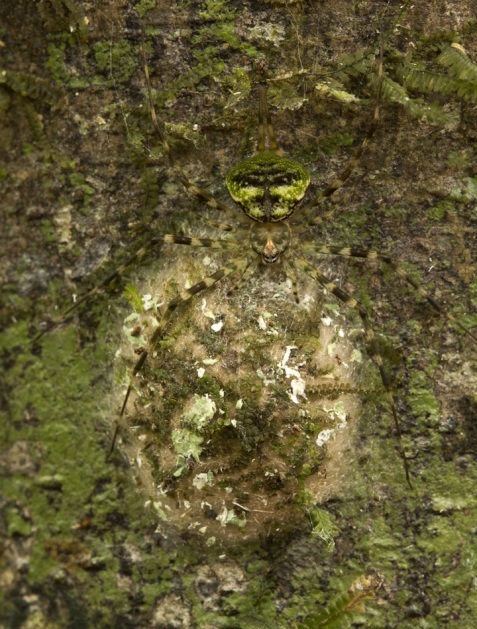 I didn’t even notice the extremely elongated spinnerets characteristic of the Hersiliidae until I looked closely at the photographs, so perfect is the camouflage on all the spider’s appendages. It’s probably because they are so cunningly cryptic that there seems to be very little known about the biology of hersiliids. For more great photographs and the story of how I met my favourite spider, check out Sean’s blog post here.